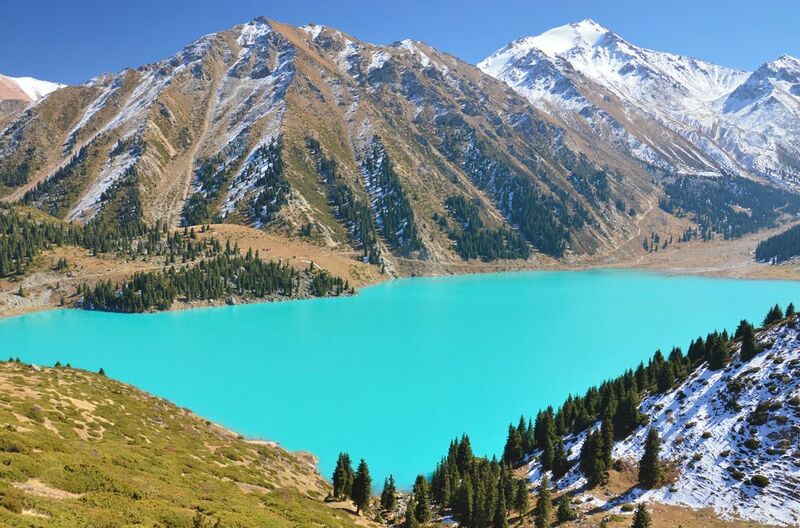 Big Almaty Lake is located along the east branch of Big Almaty Canyon, to the south of the city of Almaty in southern Kazakhstan. 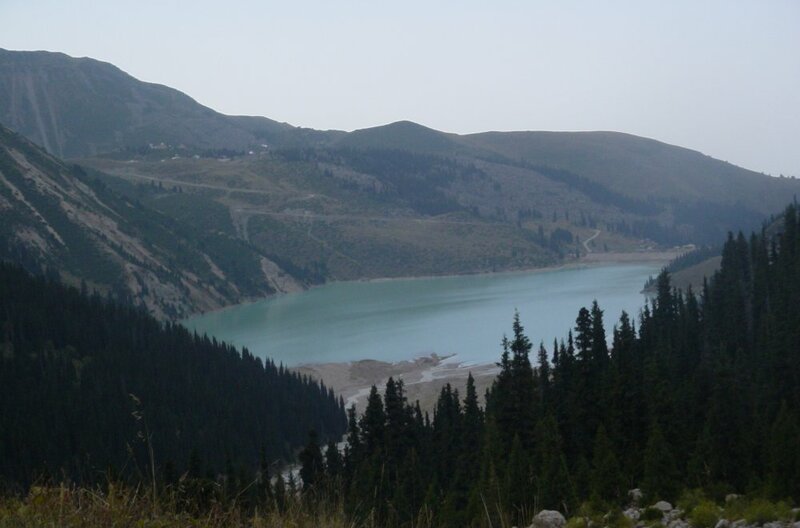 It is surrounded by towering mountains covered with coniferous forest of the Zailijsky Alatau, and sits at an elevation of 2500 m (8,202 ft) above sea level. 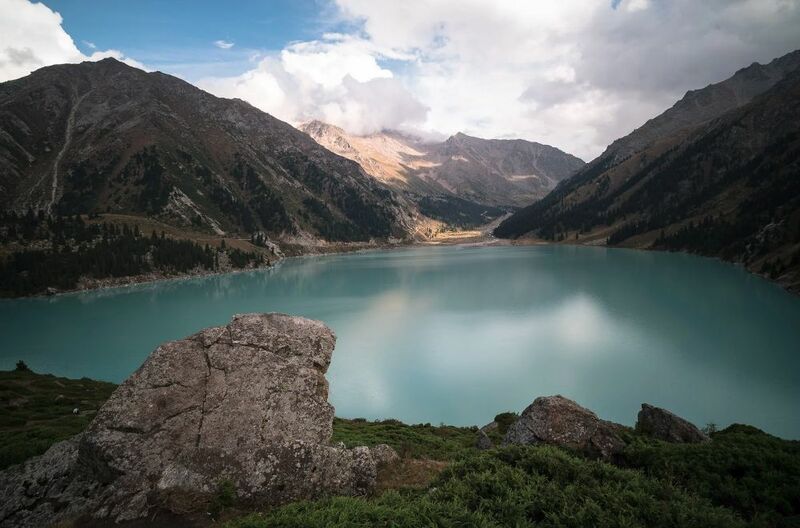 The lake was formed about 10 thousand years ago by a rock fall of tectonic nature, resulting in a body of turquoise water about 1.6 kilometers (about a mile) long, 1 kilometer (just over a half mile) wide and 40 m (131 ft) deep. 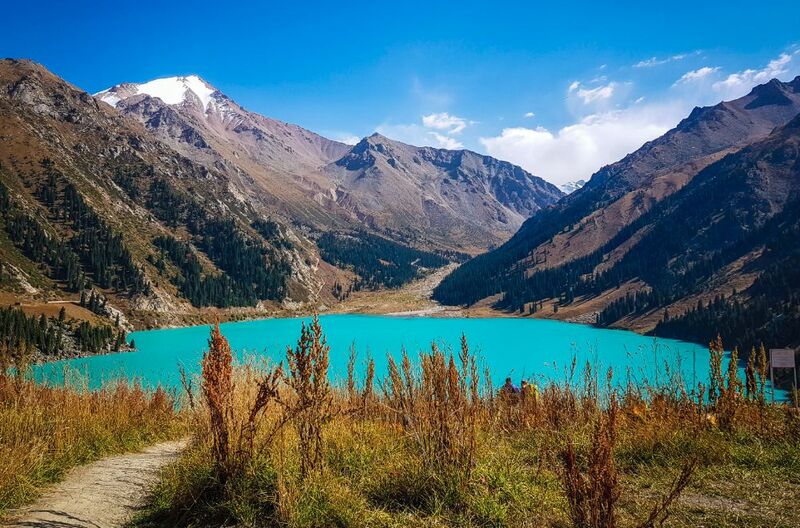 The lake is within the Ili-Alatau National Nature Park and both the canyon and the lake are an attraction for visitors using Almaty as their base. 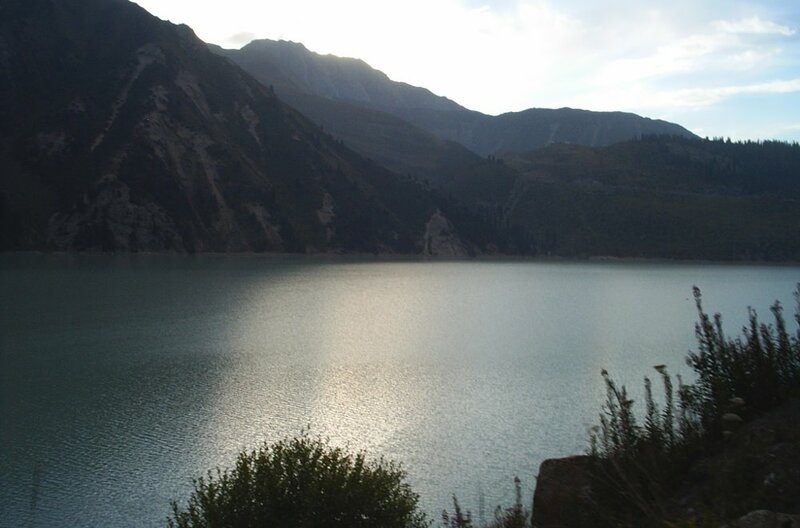 Today the lake is used for both hydro-electric power and water supply for the city, but does not detract from the magnificent mountain scenery. 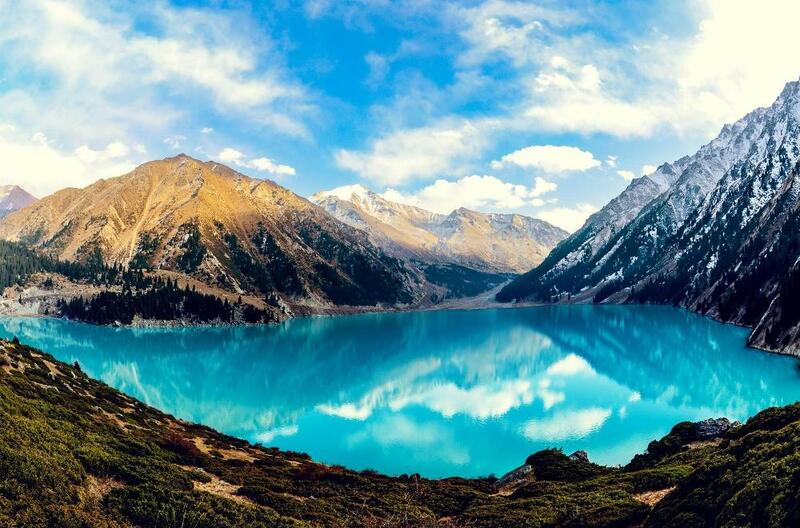 The mountains, Sovetov Peak of the Soviets (14,164 ft) to the southeast, Ozyorny Peak (13,484 ft) to the south and Turist Peak (12,973 ft) to the southwest form a backdrop on all sides of the lake, producing spectacular reflections. 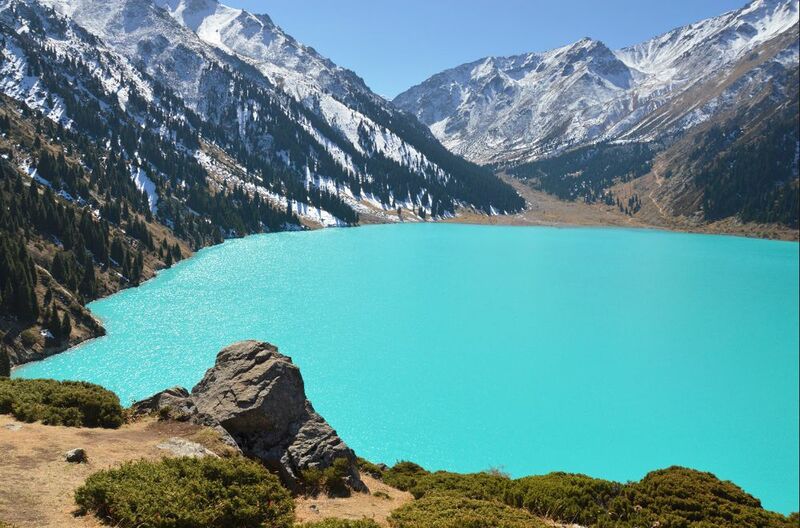 With changing seasons, the color of the lake varies from pale green to turquoise blue. 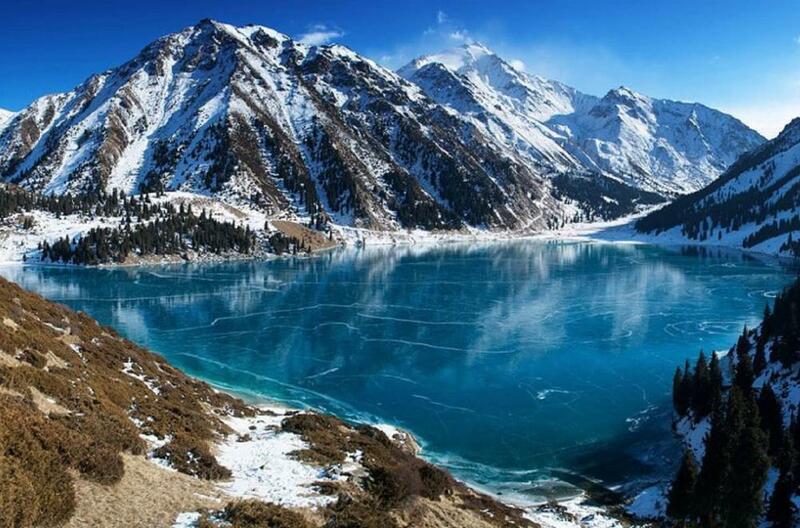 Located above the lake is the spectacular domed Tien Shan Astronomical Observatory, at an elevation of 2700 m (8,858 ft). Established at the Astronomical Institute of Ionosphere and Sun to study effects of sunspots. In addition to Tien Shan, Research Station of the Cosmic Rays of IPT was established in 1958. It was intended to study the interactions of cosmic ray particles of ultraviolet energies. 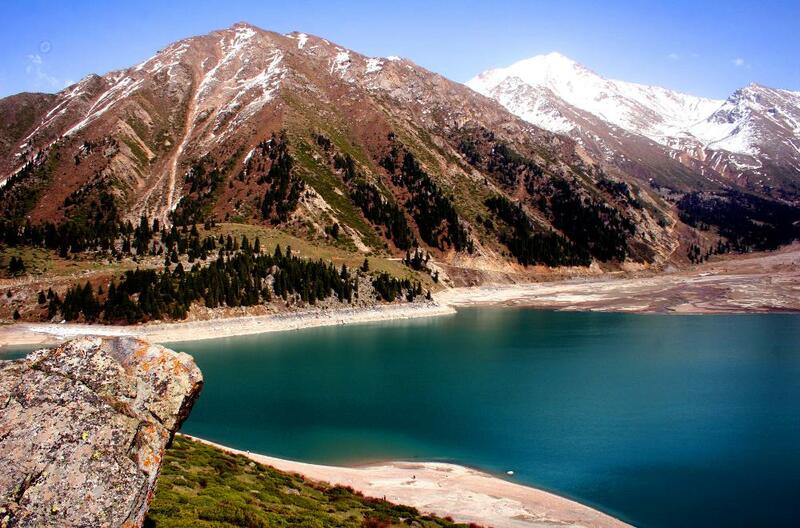 The research station is located at an elevation of 3340 m (10,958 ft) in the Tian Shan Mountains near Zhusaly-Kesen Pass.